How Long Do Porcelain Veneers in Lynnfield Last? 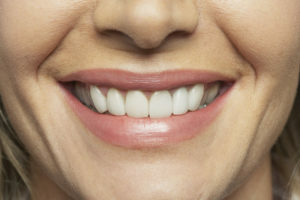 Porcelain veneers in Lynnfield are one of today’s most popular cosmetic treatments — and when you see as many smile transformations as we do at Schumacher Dental, it’s no surprise why they’re a hit. Veneers offer a minimally-invasive, long lasting cosmetic solution for any number of aesthetic issues affecting front teeth. Dental veneers can last for over a decade with proper care — and if something does go wrong with one of them, we can replace it quickly so you can keep smiling with confidence. Just because many of life’s most breakable things are made of porcelain — like delicate dolls, or your grandmother’s china — doesn’t mean porcelain veneers don’t make a wonderfully sturdy dental restoration. Veneers can withstand the same forces your natural teeth incur through chewing, biting down on food, and even minor jaw clenching. Sure, they might not make it through a hard blow with a hammer, but your natural teeth probably wouldn’t, either. Porcelain is a very useful material in dentistry. Because it reflects light just like your natural tooth enamel, you can’t really tell any difference between it and the rest of your teeth. It’s also highly resistant to stains, meaning you can expect your veneers to stay the same beautiful shade of white for years after their application. Taken care of properly, dental veneers can be expected to last for many years, like between 10 and 15, or even longer. Veneers are considered an irreversible treatment because we remove a portion of tooth enamel from the front surface of each tooth before placing the restoration. If one of your veneers breaks or chips, it cannot be patched up — porcelain restorations need to be completely replaced. Veneer replacement is as simple as the initial procedure, though. Proper veneer maintenance includes keeping up with excellent oral hygiene by brushing and flossing regularly using a non-abrasive fluoride toothpaste. Preventing gum disease and recession is important — if your gums pull away from the veneers, you may need to have them replaced to avoid having a visible gap at the gum line. Visit your dentist every six months for a checkup and cleaning to prevent tooth decay and gum disease. During this routine appointment, we will also check in on the health of each veneer to ensure they remain sturdy and strong for as long as possible. If you play contact sports or grind your teeth at night, your dentist may also recommend a customized mouthguard to protect your veneers. Repeated stress and impact puts your restorations at risk of chipping or breaking, but the mouthguard provides significant protection. Do you have remaining questions about dental veneers? Or maybe you would like to go ahead and get started with this common cosmetic restoration. Either way, please don’t hesitate to get in touch with Dr. Schumacher, your dentist in Lynnfield! Contact us to schedule an appointment today. Comments Off on How Long Do Porcelain Veneers in Lynnfield Last?